On November 1, 1860, as President G.E. Warner and the Board of Managers dedicated the new Sewickley Cemetery, they could hardly have imagined that occasion would be followed shortly by a national bloodletting the Civil War. 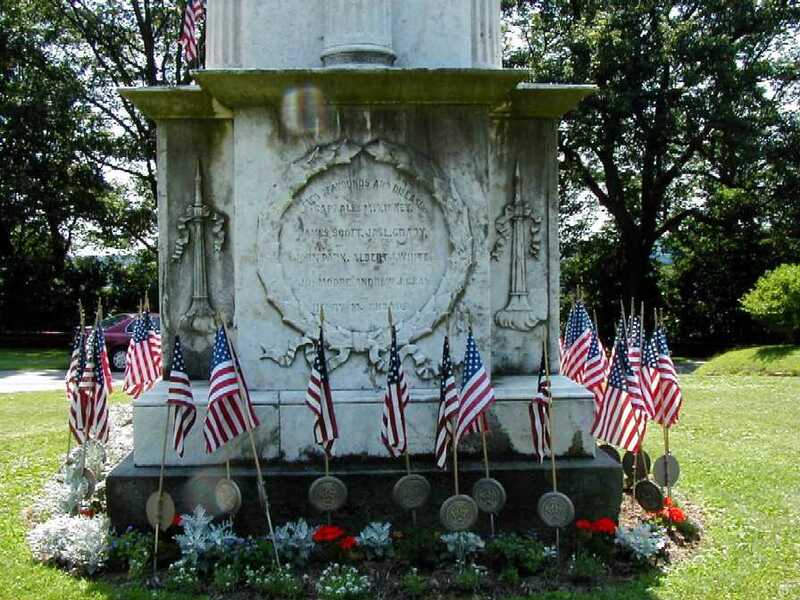 Soon fallen soldiers from Sewickley were coming home or were left on some distant battlefield. Many were from a company formed at the outbreak of the war, called the Sewickley Rifles, which drilled in the stone Presbyterian Church then nearing completion. 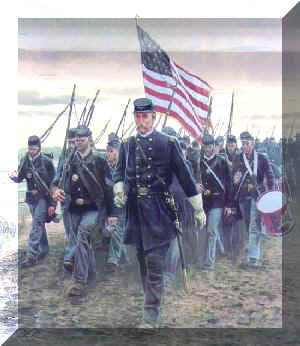 Carried off to battle by rail on July 6, 1861, they became Company G of the 28th Regiment of PA Volunteers. Many of Company G suffered from fatal wounds or disease. Andrew J. 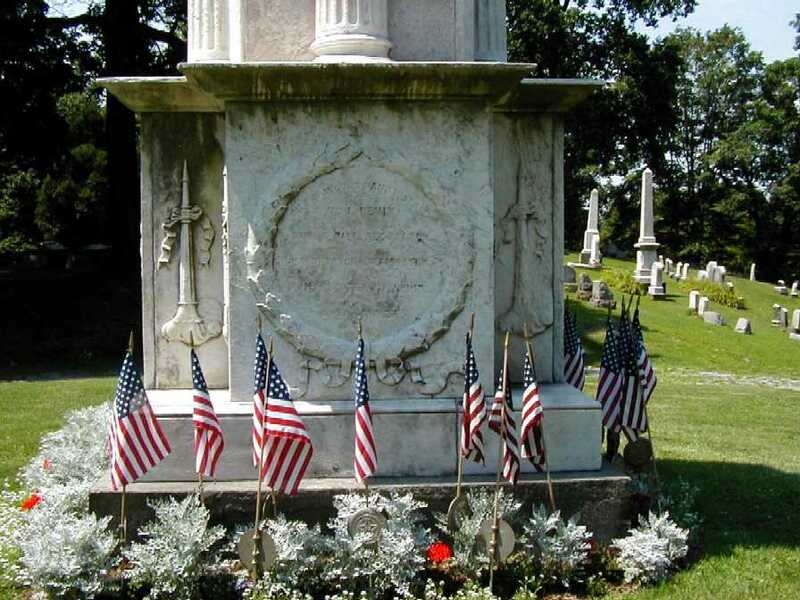 Gray, who died at Point of Rocks Maryland January 6, 1862, was the first from his regiment to be brought home and buried in Sewickley Cemetery. James Moore died in Frederick Maryland March 14, 1862 and was buried there. John D. Tracy, William C. Richey and John C.Travelli were killed at Antietam September 17, 1862. Their remains were brought to Sewickley Cemetery. 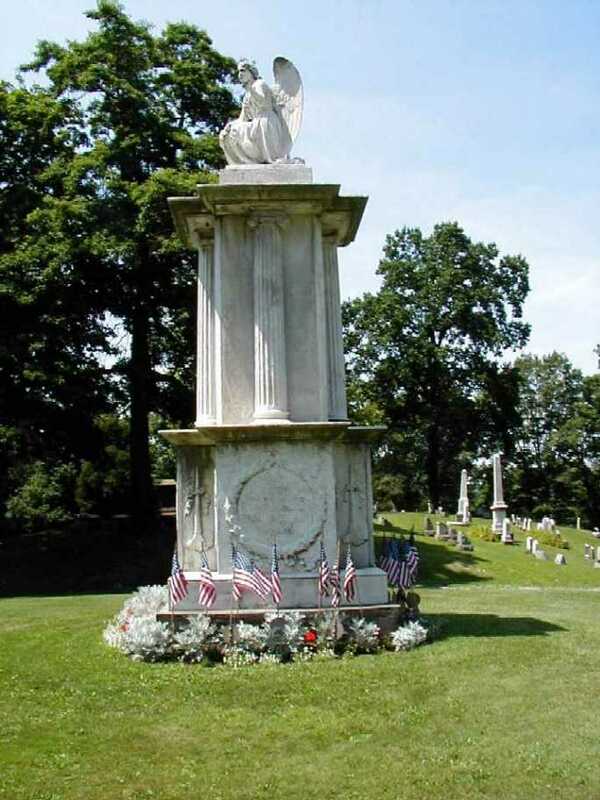 Moses Sherman also was killed at Antietam and was buried there. Lieutenant William C. Shields, William Painter and Thomas Smith were killed at Chancellorsville May 3, 1863. Their burial sites are unknown. Robert Johnson was killed at Gettysburg July 3, 1863 and was buried there. William Wharton and Patrick Malone were killed at Wauhatchie Tennessee November 3, 1863 and buried there. James L. Grady and Henry M. Rhodes were killed at Ringgold Georgia in December of 1863. Grady's body was brought to Sewickley Cemetery: Rhodes to Allegheny Cemetery. James Grimes was wounded at Ringgold, died and was buried there. Thomas A. Hill returned home and died of disease June 20, 1865. He was buried in Sewickley Cemetery. 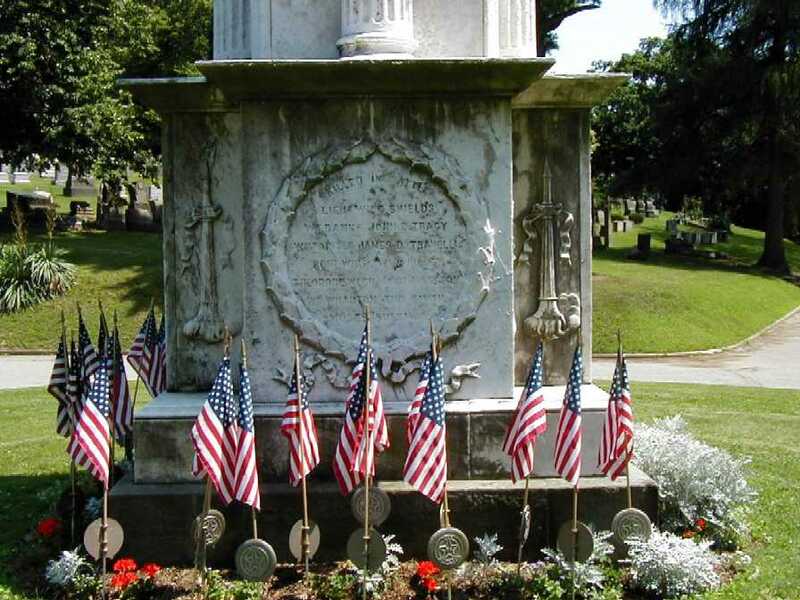 There were also many men with a Sewickley connection in other units who died of wounds or disease. 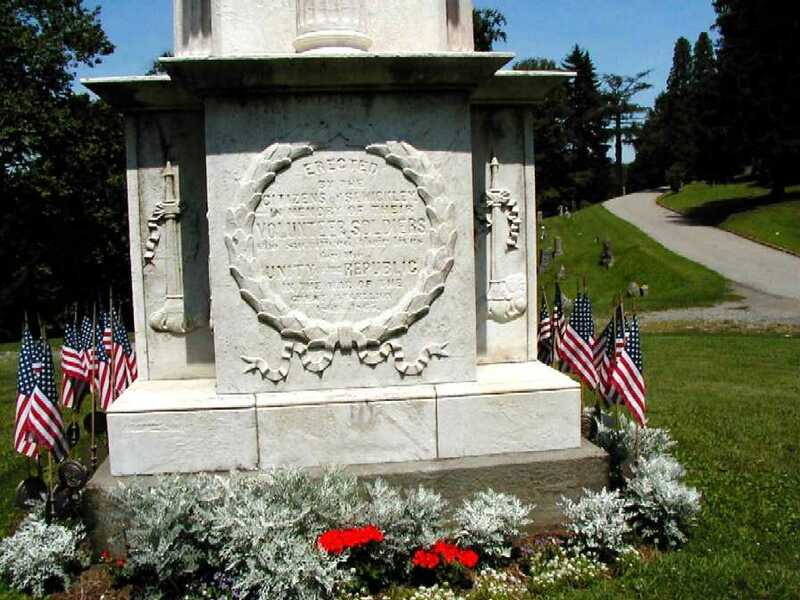 With such a cost for peace, it was natural that the Board of Managers of the Sewickley Cemetery approved the suggestion by Superintendent D.N. 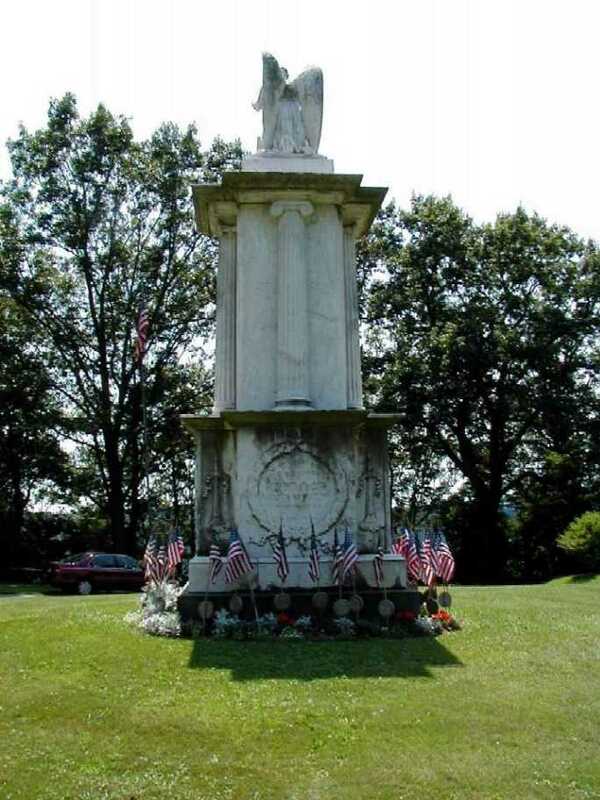 White, in June of 1865, that an "enduring memorial of the remarkable rebellion, and those who perished in the defense of Union and Liberty" should be constructed. Almost $5,000 was raised, a substantial amount in those days, and sufficient to construct a memorial. Isaac Brome, a classically trained sculptor, was retained and he created a life-sized, heroic statue of Fame, who, seeking a site from which to sound her trumpet in praise of noble sacrifice, found a congenial place on a small Grecian temple with Ionic columns. In one hand she holds her trumpet, in the other a laurel wreath, for bestowal upon the heroes. 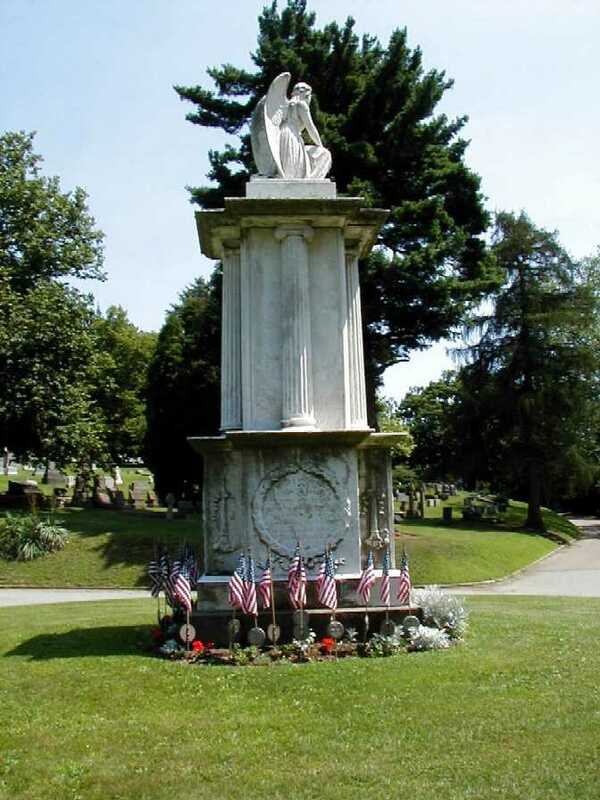 The monument was dedicated with appropriate ceremony in the Summer of 1866. 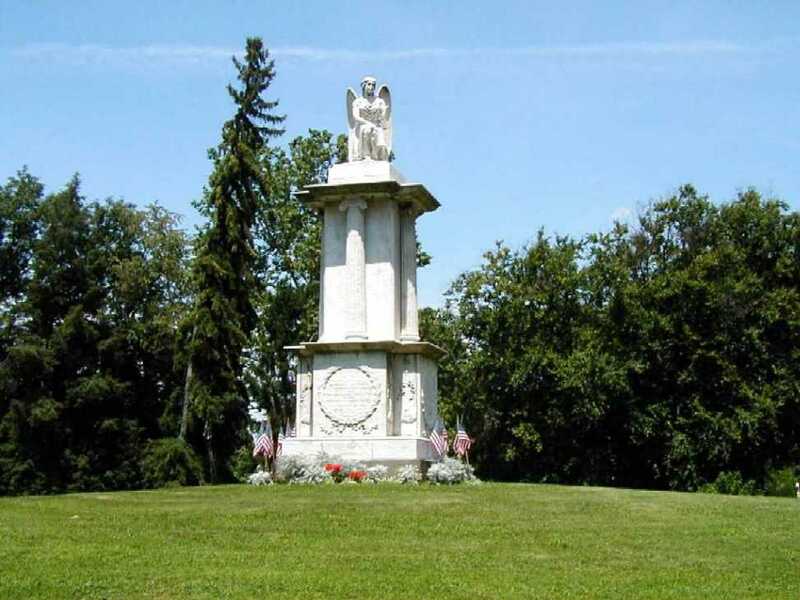 It carries all the names mentioned and the inscription: "Erected by the citizens of Sewickley to the memory of their Volunteer Soldiers, Who Sacrificed Their Lives for the Unity of the Republic in the War of the Great Rebellion 1861 to 1865." Fame is still with us after 137 years, reminding us of commitment and courage.